The Australian movement for a ban on landmines began in the early 1990s. The clear aim of the International Campaign to Ban Landmines, including the Australian Network, was to achieve a global ban on landmines. Although this was seen by many detractors to be an unachievable goal, a small group of international NGOs actively campaigned to bring this about and in 1993 a group of Australian NGOs raised funds for an Australian Coordinator to develop a campaign to convince the Australian Government and solicit widespread public support. Sister Patricia Pak Poy, a Sister of Mercy, became the first Coordinator of IBCL-AN and, under her leadership, the organisation was instrumental in changing Australian Government policy. 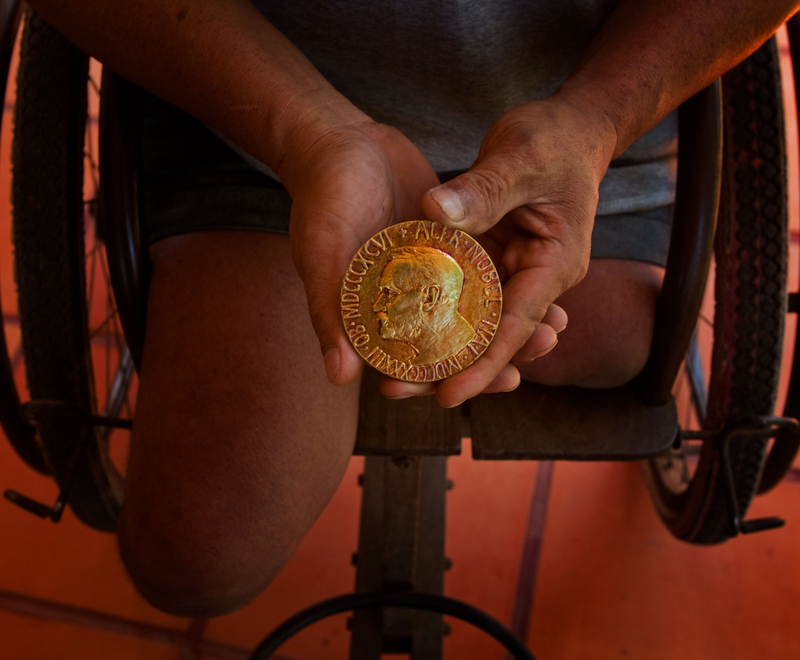 In 1995, ICBL-AN launched a petition calling for a total ban on anti-personnel landmines and this was presented to government representatives with a total of 219,000 signatures, with an additional 25,000 signatures added by the end of 1995. On 18 September 1997, the Convention on the Prohibition of the Use, Stockpiling, Production and Transfer of Anti-Personnel Mines (also referred to as the “Mine Ban Treaty”) and on their Destruction became a reality. The treaty entered into force on 1 March 1999, and in that same year Sister Patricia and current SafeGround National Committee members John Rodsted and Mette Eliseussen were part of the ICBL Nobel Peace Prize winning team, which was recognised for its leading role in bringing about this historic document. Tun “Reth” Channareth poses with the Nobel Peace Prize, January, 2010 at JRS, Siem Reap, Cambodia. The principal vehicle for interaction with these governments was the South East Asia Program (SEAP), which was a collaborative venture between the Australian Government, through the auspices of AusAID and the Australian Network To Ban Landmines, supporting coordinated regional efforts on landmines, including universalisation of the Mine Ban Treaty. In 2003 and 2004, SEAP-funded projects included publication of a book of photographs by John Rodsted on the impact of mines and unexploded ordnance in Laos, as well as an exhibition of the photos at the Fifth Meeting of States Parties. In April 2004, the government supported the Australian Network in its work to organise a regional workshop on landmines in Kunming, China, the first-ever such meeting held in China. In 2005 agreement to proceed with a second phase of the SEAP program was reached with the government. The SEAP project worked to encourage those countries which had not signed the Mine Ban treaty to accede and for those countries which had only signed to fulfil the ratification requirements. In 2006, John Rodsted travelled to Lebanon immediately after the Israel–Lebanon war. He and others documented first hand the tragic result of the four million cluster bombs that Israel had dropped on urban areas in Lebanon. The photos and reports assisted the Norwegian Government to advance discussions for a ban on cluster munitions. ICBL-AN was an integral and active partner in the international civil society movement to bring about this ban. Former ICBL-AN National Coordinator, Mark Zirnsak, and then committee member, Kerryn Clarke, participated in international conferences that ultimately produced the Convention on Cluster Munitions. Emulating the success of the ‘Mine Ban Bus’ tours in the United States that culminated in the Mine Ban Treaty, John Rodsted and Mette Eliseussen undertook a ‘Ban Bus’ tour of Europe, concluding in Geneva in time for the official signing of the cluster munitions convention. Everywhere they went they educated people on the inherent dangers of cluster munitions and promoted the treaty. 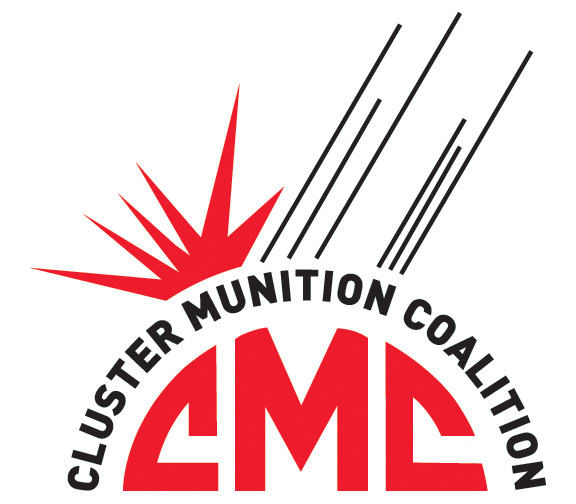 Adopted on 30 May 2008 in Dublin, Ireland, and signed on 3-4 December 2008 in Oslo, Norway, the Convention on Cluster Munitions (CCM) entered into force on 1 August 2010. In 2008 the Convention had 94 states committed to it’s aims, this has since grown to 100 States Parties and 19 signatories. Current SafeGround member John Heathers represented ICBL-AN at the treaty signing. 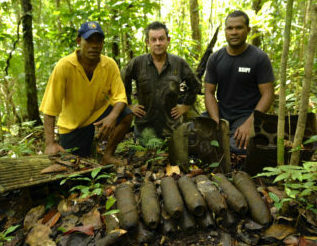 Many, Paul of Golden West Humanitarian Foundation, and Patterson of the Royal Solomon Island Police EOD team with unexploded ordnance found in the Solomon Islands. A multi-year research program on World War II ERW contamination in the Pacific Island nations, culminating in the production of films, photographic exhibitions, country reports and a book. Supporting a research documentary on landmine victims amongst Burmese refugees in Thai refugee camps. Engaging more closely with like-minded organisations. Continued involvement with international campaigns.